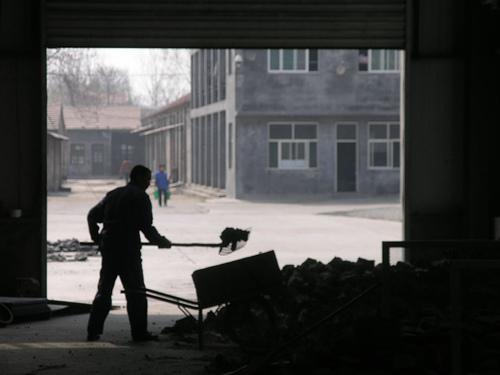 The world press has begun to find ways of documenting the conditions of workers in many of the factories in China devoted to manufacturing goods for export to the United States and other countries (for example, In Chinese Factories, NYT, 1/5/08). The reportage is eye-opening but not surprising. Reporters have documented excessive hours of work, pay that is lower than what Chinese law requires, working conditions that are chronically unsafe, and persistent exposure to the very dangerous chemicals that American toy consumers have been so concerned about. One of the authorities sometimes quoted in these articles is Professor Anita Chan from the Australian National University, and Professor Chan has been documenting these conditions for years. Her book, China’s Workers Under Assault: The Exploitation of Labor in a Globalizing Economy , is a detailed and factual examination of some of these conditions. She documents the fact that the most vulnerable groups of workers — in the range of tens of millions! — are the internal migrants of China, who have left their home regions in search of jobs. Very significantly, Professor Chan bases some of her fact-finding on the slowly emerging field of local investigative journalism in China. So part of the story has to do with the economic incentives and advantages that factory owners have relative to a large working population that has few alternatives. But this part of the story is familiar from other economies as they have developed through intensive industrialization. It has been learned elsewhere in the world that the imperatives of profitability by themselves almost mandate the abuse of labor; so government regulation and inspection are a necessary part of a manufacturing system if it is to succeed in treating all the population fairly and humanely. We might have imagined that the Chinese government would have been prepared to provide the regulatory environment that was necessary to protect the best interests of farmers and workers; it is, after all, governed by the party of farmers and workers. However, this is not the case. China has been so concerned to support economic growth that it has been very slow to implement effective regulatory systems to protect labor and the environment. Moreover, the balance of power between factory owners and local officials seems to be tilted towards the owners; other Times reporting has documented the fact that local officials cannot impose their will upon the owners. And, of course, there is ample opportunity for corrupt collusion between owners and officials. This failure to regulate has been evident in other areas besides labor; the Chinese government has shown itself to be unwilling or unable to enact effective environmental regulations or to establish an effective regime of inspection and regulation for foods, drugs, and other potentially harmful products. It appears that middle-class Chinese consumers themselves are now expressing anxiety about the absence of this kind of regulation within their food and drug system. So what other avenues exist for improving the conditions of workers in China? There are three possibilities — all mutually compatible. First, workers themselves can protect their interests in fair wages, safe working conditions, and limited hours of work — if they are permitted to organize in unions. Woody Guthrie had it right: as individuals, workers are weak, but together they are strong. It seems inescapable that a major part of the problem is the enormous imbalance that exists between the powers associated with ownership and management, and those assigned to workers and their organizations. So a more just China will need to permit the development of real independent labor unions that work hard for the interests of their members. Second, labor mobility can improve the conditions of labor everywhere. It is not an accident that some of the worst abuses documented by Professor Chan have to do with the forms of coercion that factory owners use to keep workers in their factories. If workers can vote with their feet, then we would expect that they will migrate to factories and other employers who offer better conditions of work and pay. And this will force employers to bid for qualified labor on the basis of improved working conditions. And finally, there is obviously a role for consumers and companies in North America and Europe in all of this. North American consumers benefit from the low manufacturing costs currently available in China; but these low costs are unavoidably associated with the labor abuses we see today. We have a model for how international companies can take responsibility for the conditions of labor and environmental behavior, in the form of the Fair Labor struggles of the 1990s on university campuses in the United States. Large apparel manufacturers took on the responsibility of subjecting their suppliers to standards of conduct, and they subscribed to third-party organizations that undertook to “audit” the level of compliance with these standards by the supply chain. (Visit the Fair Labor website for an example of such an organization.) As the Times story observes, this is a tricky business, given the substantial degree of sub-contracting that occurs in the manufacturing process in China. But it can have a measurable effect. China is plainly destined to be a major economic and political power in the coming fifty years. But to succeed in creating a society in which everyone has a continuing stake in a good quality of life and a fair deal from society, it will have to solve the problems of regulation of labor, health, and environment. And this will mean a degree of redistribution of China’s wealth and power towards its poorest people.